Invisalign Lite is carried out using exactly the same technology as Invisalign Comprehensive treatment, but it is used to improve moderate orthodontic issues such as moderately crowded teeth. Invisalign Lite treatment is ideal for those patients that had braces earlier in life but have had relapse afterwards due to not wearing retainers. It’s designed for patient with moderate to more complex Orthodontic problems, there are no limits on the number of aligners provided by Invisalign. What is the Invisalign Lite Package? Invisalign Lite has a maximum of 14 aligners which means it can be used to correct moderate orthodontic issues which need no more than 7 months of orthodontic treatment to correct. For cases that due to their complexity require longer treatment than 6 months, Invisalign Comprehensive treatment is needed. 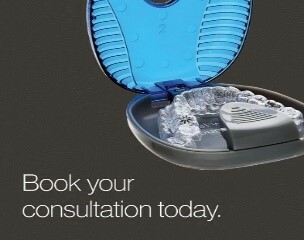 It is recommended that patients ensure they wear the aligners for around 20-22 hours per day.